Build a home tailored to your lifestyle with Munro Designed Homes; the leaders in quality, modern design. Based on the bayside of Brisbane, we believe the homes in which we exist reflect the needs of our evolving lifestyle; immaculate, modern designs which promise casual sophistication and simplicity. We understand success comes in the choice of innovative, honest materials – materials that ignite the senses. The result is beautifully balanced homes inspired by you, built by us. We work closely with our clients from inception to completion, ensuring the process is an enjoyable experience. By consulting each step of the way, we’re able to deliver custom homes tailored to your lifestyle. Our team specialises in custom designs for all types of land, including small lot builds for homes. Looking to build and not sure where to start? Share your ideas with our Munro Designed Homes team to see how we can build your best abode yet. 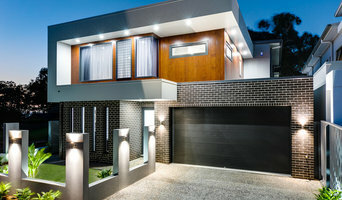 Small Brisbane Builder specializing in custom homes and renovations. Qualified builder offering personalised service and quality construction of residential renovations, extensions, new builds and fitouts to the Brisbane area and surrounds. 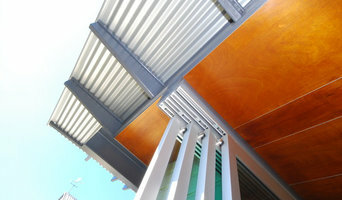 Mojo Constructions is a Brisbane based building company specialising in architect-designed, residential projects. We have a refreshingly collaborative approach to construction; from initial estimate to completion, we work hard to engage all stakeholders in a transparent and cooperative way. We enjoy the process of interpreting a great design and find enormous satisfaction in turning plans into reality. Director/Builder Paul Goey has turned his 10 years of commercial construction management experience and 10 formative years of onsite residential supervision into a model that produces outstanding quality. He has put together a team of highly skilled carpenters and created partnerships with tradespeople who reliably produce quality work. We know that when it comes to building and renovating houses, the devil is in the detail. We excel in working together to meet cost expectations and are very experienced with the negotiated tender process. Our team of passionate professionals will be sure to deliver your project on time and within budget. Please do not hesitate to give Paul a call to discuss your plans. 1STRUCT Building & Renovation is a family owned and operated Brisbane based building company. We specialise in residential construction specialising in Luxury Sloping Lot Homes & Raise Build Under Renovations. Operated by the Davis family and managed directly by two brothers, Ben Davis a qualified builder and Michael Davis a business consultant, 1STRUCT is a quality Brisbane builder. 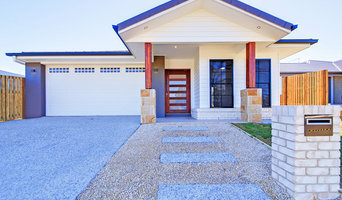 VCB homes are high quality custom and off the plan homes builders, based on the south-side of Brisbane. We are a dynamic, family operated company with a track record of producing quality projects built to the highest standard. We offer a complete project management service from start-to-finish, including land selection, design services, selections, approvals, construction and after sales service. Queenslander Renovations is a Brisbane based builder specialising in Queenslander home renovations. With 20 years of experience in the construction industry, our team are committed to providing our clients with the highest standards of workmanship and take pride in every aspect of the work we do. Whether it be a full renovation, extension, deck, carport or a smaller scope of work, Queenslander Renovations are experts in transforming your traditional home into a masterpiece. At Queenslander Renovations we firmly believe the continual communication with our clients throughout the renovation process results in a successful outcome. We pride ourselves on honesty and delivering our customers a finished product beyond their expectations. Here at RNA Homes, you talk to the builder direct! No middleman, no external costs, which means that we can give you a great deal and a personal, one to one experience. Top Build Queensland is a full service design and build company, We work through all phases of new home construction and existing home remodeling. Specialising in house lift and build in, making room for your growing family. We have also been featured in Design Magazines for Bathroom and Kitchen remodeling. HIA Best Federation and if your need is landscaping we can help you with that too. Contact us now for a no obligation free quote with a Master Builder. Based on the Gold Coast, Luxbuilt are best known for their design, attention to detail and outstanding relationships with suppliers, subcontractors and clients. Luxbuilt is a boutique residential building company. Our philosophy centers on high-end design and construction and we are involved in all aspects of the construction process - from concept to completion. Our services include single homes, dual occupancy, townhouses, renovations, extensions and project management. We also offer complete turn-key solutions including feasibility analysis. All Luxbuilt homes include full interior design services by Zephyr and Stone. 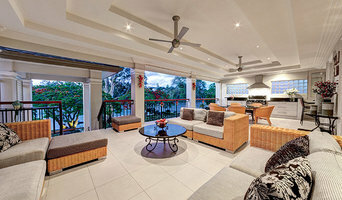 Imperial Homes Qld is one of Queensland leading master builders of premier homes. Third generation builders, the boutique family owned and operated company is widely recognized for its quality, innovation and homes of distinction. McKellar Constructions is a licenced building company in South-East QLD. Hi, my name is Jason George, I am the owner of Sebuild pty ltd. I started Sebuild to assist families in the building, renovating and extensions of their homes. I understand that our family home is the largest investment we ever make and that we sometimes get emotional about what takes place there. I saw the need to give clients a service that was based on values, where the client and their family are treated with respect. Service, quality and integrity are important attributes in any business but of utmost importance when dealing with families and their home. Sebuild’s greatest reward is knowing that the homeowner is satisfied and proud to be walking into their newly built, renovated or extended home. With over 25 years service in the building trade and after working for different building companies I bring knowledge and skills that ensure a pleasurable building experience. High standards of workmanship and integrity are demanded of anyone that comes onto a Sebuild site. I am proud of the team of subcontractors that work for Sebuild, I have had the benefit of hand selecting the best of the best from my years of service and ensure you that they are aware of Sebuilds standards in quality and service. I would love to help you with your project. Sebuild offers an all in one building service, so that you can make decisions freely and Sebuild will take the stress out of the “hows and whats” that go along with it. Sebuild works to fixed price contracts and no variations are done or charged without prior client approval. I believe that a close client relationship lets me achieve your vision for your family home.